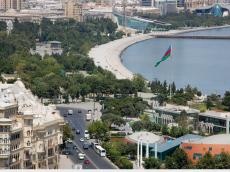 An event dedicated to the World Refugee Day will be held in Baku June 20. The event will be organized by the Azerbaijani State Committee for Affairs of Refugees and Internally Displaced People, the Office of the United Nations High Commissioner for Refugees in Azerbaijan and the Azerbaijani State Migration Service. The representatives of the state organizations, including ministries, companies and other structures of Azerbaijan, diplomatic structures, accredited in the country, UN structures, international and local humanitarian organizations, as well as communities of refugees and IDPs will attend the event. According to the resolution adopted in 2000 by the UN General Assembly on the occasion of the 50th anniversary of the 1951 Refugee Convention, June 20 has been celebrated as the World Refugee Day since 2001.